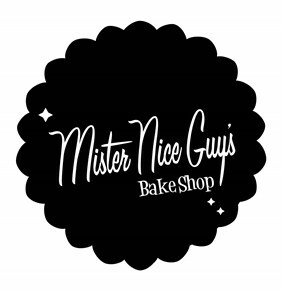 Besides tasty gluten free cupcakes, around 90% of the goods produced at Mister Nice Guy's Bakeshop in Ascot Vale is gluten free! 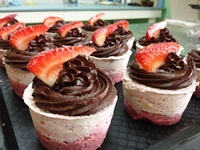 Each day there are two gluten free cupcake varieties (flavours vary each day), as well as brownies, cookies, banana bread, sourdough bread, pumpkin chocolate loaf, all pies and cheesecakes. Raw food is also available. Baked fresh daily, goods are available for purchase from the shop. 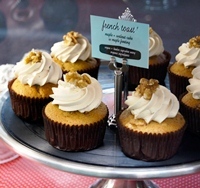 Enjoy some coffee and delicious treats as part of your shopping experience! 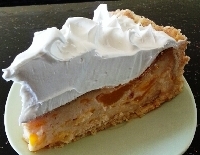 Gluten free specialty cakes can be made to order (at least 3 day's notice is required). Click here to select goods, flavours and gluten free option. *Please note that all due care is taken when producing gluten free products, but they are produced in a kitchen where gluten is used, and may therefore contain traces of gluten. Ascot Vale: 151 Union Rd. Opening hours: Mon-Fri 9am-5.30pm, Sat-Sun 8am-5pm.